The Flaubert eco-neighbourhood in Grenoble is one of the city’s flagship projects in transition. Combining sustainable development, energy innovations and the involvement of residents, this concerted development zone (ZAC) is currently extending its urban heating network, the second largest in France. The result of a Research and Development partnership between CCIAG and CEA and co-financed by the City-zen program, this extension project proposes a major technological innovation. It is a low-pressure heating network that uses storage solutions using phase-change materials. This technology not only improves cost-effectiveness but also limits heat production during peak demand periods. But innovation goes further. The heating network uses other innovative solutions such as the use of solar thermal panels and an optimized and smart management platform. All this makes it a unique model in Europe. This project was connected to a first building in the summer of 2018, and will be connected to two others over the next three years. 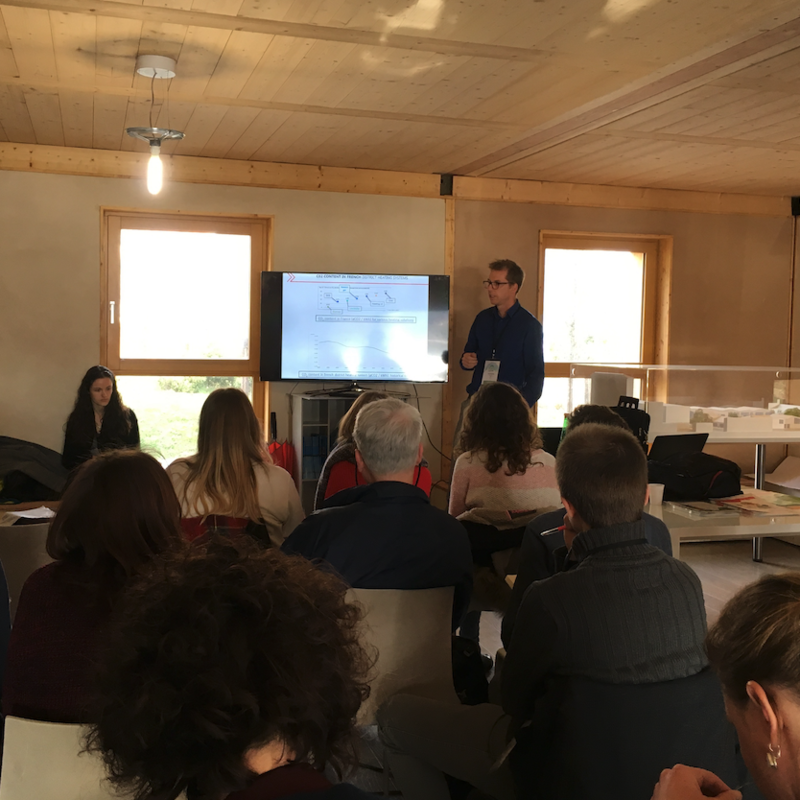 The project contributors proposed, during the City-zen Days in Grenoble, a complete presentation of the network which is part of a broader dynamic at the district level (or: which is part of the district’s urban project). Representatives of the SPL SAGES, developer of the city of Grenoble, the CEA, the CCIAG and the City of Grenoble followed one another to share their respective contributions to the project. These interventions gave rise to lively exchanges with the participants, including the representative of the European Commission Eric Lecomte.